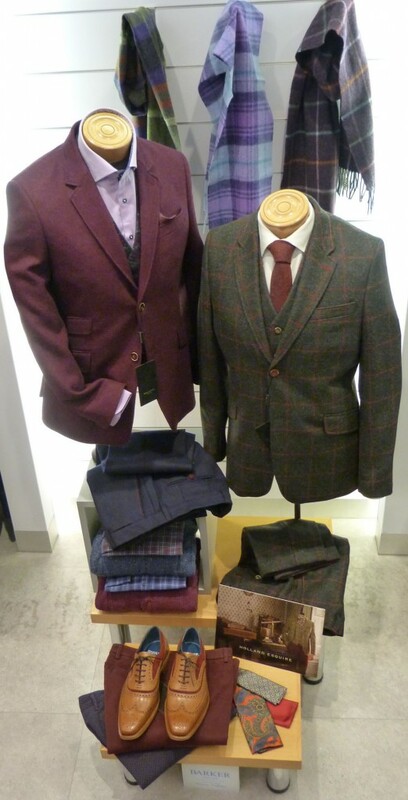 Holland Esquire at Robert Smart Menswear in York, one of the uk’s finest tailoring companies. renowned tailor Nick Holland started the company in 2001 and pays the finest attention to detail on every aspect of the design from the fit to the exquisite detail and styling to the selection of the finest fabrics available across the world. Many of the fabrics thatHolland Esquire use are specifically designed and are unique to Holland Esquire.Holland Esquire jackets are all of a slim fitting block however they offer alternative fits for different body shapes and looks. AllHolland Esquire products are made in very limited numbers meaning exclusivity in design but does mean that limited numbers and sizes are available in all stock.